Lotus Enthusiast » The first Lotus minivan? Proton’s first 7-seater minivan, spied in the pictures you see here, has been named ‘Exora’ with the tagline ‘Keriangan Keluarga’. 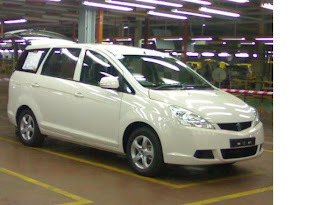 The name and tagline were chosen as part of the Name The Proton MPV competition orchestrated by Proton. Competition winner Norsholihan Bt Abdul Eanich, a teacher from Changlun, wins the first Proton MPV off the assembly line as prize for submitting the winning name. 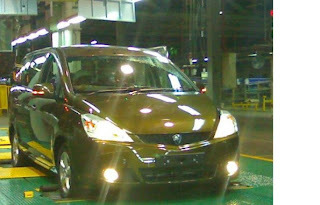 ‘Exora’ was chosen from among 251,763 names entered into the contest. While most media outlets are explaining that the Exora name is based on the name of the ‘lxora’ flower, Proton released a follow-up statement where they declared the name was not based on the flower. “Exora was chosen because it was not a name for any animal and vegetation. 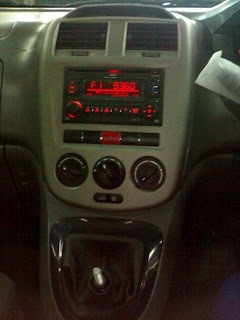 Exora does not exist as a word,” Proton said, adding that only after a scrutinizing selection process was the name chosen. With a name that is a phonetic rhyme with ‘Evora’ and a nice fit under Lotus’s ‘E’-naming scheme, we think the correlation is intentional. While we don’t expect a Lotus-badged Exora will be made, you can count on Europestar capitalizing on the Lotus connotations of the name once the Exora is sent to China to be sold under the Youngman Lotus Europestar brand. Lotus Engineering partly engineered the Exora, so the claim isn’t entirely baseless. Zhejiang Jinhua-based Youngman Lotus is a joint venture between Youngman Auto and Lotus Engineering, which is an affiliate of Proton. Youngman Lotus manages the ‘Europestar’ car marque, which was launched in January 2008 as a new nameplate to sell Lotus-designed Proton vehicles in China. The first model launched by Europestar was a re-badged Proton GEN-2 hatchback sold as the Europestar Lotus RCR (“Jingsu” in Chinese). Power for the Exora will come from a 125 hp 1.6 liter engine. Standard equipment will include features like dual-zone air-conditioning and dual airbags. Competitors will include the Mazda5/Premacy, Nissan Grand Livina, and Toyota Avanza. Malaysian orders will start on February 21st, with full pricing to be released closer to production in April. Expect the Exora to retail at RM 80,000, which is about $22,000 USD. 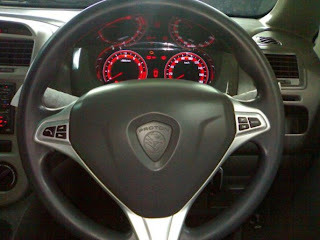 3,000-3,500 are expected to be produced each month in Proton’s factory in Shah Alam. Five colors will be initially available: Genetic Silver, Tranquility Black, Blue Haze, Pyrite Brown, and Gaia Blue.